The recent heavy downpour of June 18th which recorded rain for well over 7 hours affected a number of flood prone areas in the country including,the Ga EastWest and Central, Adentan Municipality, Ashieduketeke, Okaikoi and parts of Ashiaman. The Ghana Red Cross and the Greater Accra Emergency Response team, were among the first institutions on site to take part in the rescue and relief efforts,offeringfirst aid to victims and distributing non-food items toabout 360 families. It is a becoming a trend that annually the country around June experiences heavy downpours impacting on the socio-economic development of the affected people. Ecobank and the Ghana Red Cross in a joint effort to lessen the suffering among flood victims were on site in certain parts of the Greater Accra region to offer financial advice and distribute relief items such as mattresses, blankets and mosquito nets worth over GHs 180,000. Speaking at the eventthe Regional Head of Ecobank Consumer Banking business, MrTara Squire, encouraged thegeneral public to save in a manner that would ensure that they do not lose their livelihood and savings during heavy rain. He mentioned that most savingsunder mattresses and other storage facilities within the households or living quarters are at risk of being swept away by the floods. He described a number of Ecobank products, such as the Ecobank Xpress Account, Ecobank Tbill4Alland Ecobank Bancassuranceservices that were intended to ensure participation and inclusion of the underserved and unbanked members of the community into the formal financial sector. The Ecobank Xpress Account is a digital account that offers customersa virtual accountthat can be opened with a zero balance. Once opened the account can be funded and customers can transacttheir banking business at theirown convenience from their mobile handset. 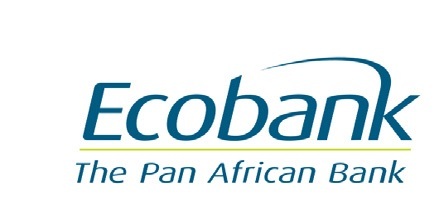 The Ecobank Tbill4All,is a simple and easy to use productthat provides a secure means of saving,allowingGhanaians to invest in Government of Ghana Treasury bills fromtheir phones from as low as five Ghana Cedi.While the Ecobank Bancassuranceoffersvarious insurance products that protect consumers from financial loss. In a joint statement the two organisationscalled on well-meaning Ghanaians and institutions to donate liberally to the Ghana Red Cross Society through the Ecobank collection account, Account Number 0380084493424001or via their Ecobank Pay merchant ID 06562613 payable via Masterpass or mVisato enable disaster response teams hold themselves in readiness to support victims.The Ghana Red Cross is soliciting for USD 200,000 an estimated sum needed to provide relief for over 1000 flood victims. Ghana Red Cross Society is a non-profit, community based organization which seeks to alleviate human suffering and improve the lives of the vulnerable in the society. 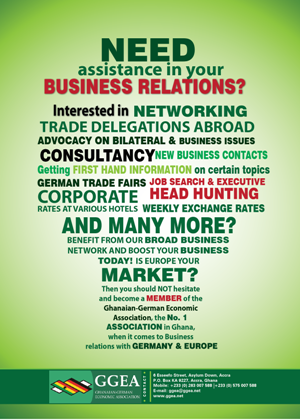 The Ghana Red Cross is a member of the International Federation of Red Cross and Red Crescent Societies (IFRC), the world’s largest humanitarian organization, providing assistance without discrimination as to nationality, race, religious beliefs, class or political opinions.